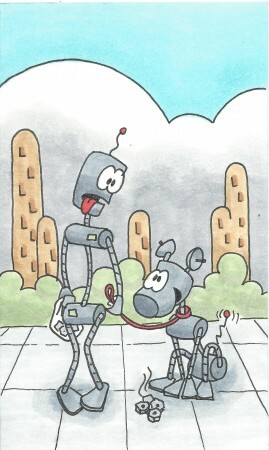 Even in the robo future, curbing your robodog is important. He was my birthday wish! I would have asked for fish.